As well as being a comprehensive music directory for Sydney you can find other information for Sydney and indeed a range of topics we would like to share with our users. Our interests are broad and wide so anything could turn up here! IODINE - Is it really as important for us as they say it is? 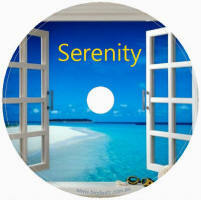 FREE MONEY GUIDED MEDITATION - Free MP3 file. Think and Grow Rich! is a motivational book written by Napoleon Hill and published in 1937. The Power of Positive Thinking by Dr. Norman Vincent Peale was first published in 1952. Current theories include the the likes of Abraham Hicks & The Law of Attraction.